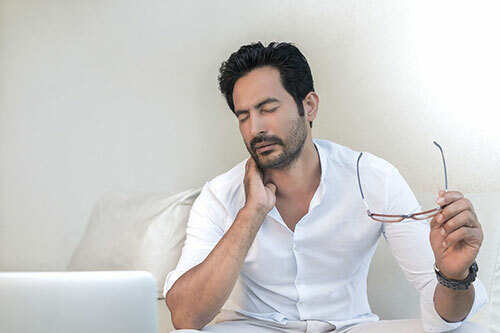 One of the most common treatments for chronic neck pain is physical therapy, as most programs are designed to reduce pain while strengthening the neck through monitored exercises and other means. Every physiotherapy treatment is catered to individual patients, from the exercises provided to the length of the treatment plan. But before you can begin your first physical therapy session, you need to have a clear idea of what your goals are. When seeking out physiotherapy for neck pain, you’ll need to go into a session with certain goals in mind to keep you motivated. Those goals can include reducing stiffness and pain in the neck, improving the range of motion in your head and neck, strengthening your neck and it’s supporting muscles, or developing strategies to prevent recurring pain. While it’s possible that the pain won’t be eliminated completely, physical therapy will play a large role in improving daily posture and movement. There are a variety of cases that may require or encourage the use of physical therapy for neck pain. If you suffer from chronic pain that doesn’t have an exact source, going through physiotherapy in order to strengthen your neck muscles can help you become more resistant to the pain. If you’re recovering from an injury that has damaged your neck’s soft tissues and joints, or neck surgery, your doctor may recommend that you see a physiotherapist to help in reducing pain and spasming while increasing neck function at a safe pace. However, if you experience significant spinal instability or an underlying medical issue such as a tumour or infection, then physical therapy might not be the safest treatment option. This form of treatment employs very little effort from the patient. A number of passive treatment methods involve using a cold compress, heat therapy, massage therapy, electrotherapy or an ultrasound. The overall goal of these therapy methods is to reduce pain and swelling to the neck. But like with any treatment, you’ll need to be careful in how you go about it. Avoid applying ice or heat packs that are extreme in temperature directly to your skin for long periods of time. This can cause skin and nerve damage. While this is an effective treatment method for neck pain, it should be used in conjunction with active physical therapy for the best results. This form of physical therapy, on the other hand, involves the patient moving their body through specialized stretches and exercises. This method works to improve the neck’s strength and flexibility, reducing any pain and stress on the spine. But going about it in the wrong way can lead to serious injury. When performing exercises like aerobics, aquatics, neck-focused movements and core/back movements, they should be done under the guidance of a licensed physiotherapist to ensure your safety. At Pro Fusion Rehab, you’ll be working with Pickering and Milton physiotherapists who are highly trained and certified to help you achieve your physical therapy goals. With locations in Milton and Pickering Ontario, our physiotherapists help all kinds of patients who experience chronic or acute pain caused by sports injuries, vehicular accidents, surgery and more. Our Pickering and Milton physiotherapy services include massage therapy, physical therapy, shock therapy, acupuncture and more. With direct insurance billing, affordable rates and a trusted reputation, give us a call to book your physiotherapy appointment today! Slip and Fall on Ice-All About Winter SafetyWhat kind of conditions and injuries does massage therapy treat?